Let’s talk Mexican! Who doesn’t love Mexican food? I personally don’t know anyone that isn’t fan of Mexican fare. Living in the bay area we have access to some amazing Mexican restaurants, and we frequent them quite a bit. I love cooking Mexican at home as well, and have really branched out from just making tacos and burritos. I remember when we first moved to California, 15 years ago, the only Mexican food I ate was a bean, rice and cheese burrito. I’m so glad I got out of that rut and tried some new and exciting flavors. My husband introduced me to this recipe. I saw the title, beer-braised chicken, and thought beer, really John? Is this something the kids and I are going to eat? It sounded to me like a “manly meal” not a “family friendly” meal. I took a bite just to please him and was pleasantly surprised that I really enjoyed it. The kids loved it so much that Zoe ate 3 tacos and Eli ate 2 (that’s a big deal for him as he usually eats about 1). You don’t taste the beer in these, in-case there are those of you that are worried about that. The chicken is super moist and really mild in flavor. Don’t be scared off by all the ingredients. Most of them are just spices that you most likely have lying around the house. Another great thing about this dish, besides the fact that it tastes great, is that it is a two-nighter meal and it can be made ahead of time. Who doesn’t love that? Oh, and it’s a great weeknight meal because it takes about 30 minutes or so to throw together. Make ahead or leftovers? You can make this chicken verde ahead of time and store it covered in the refrigerator till needed. All you have to do to re-heat it is to put the chicken mixture in a saucepan over low heat, and stir occasionally. The liquid will come out from the chicken and make a sort of sauce for the chicken to simmer in. 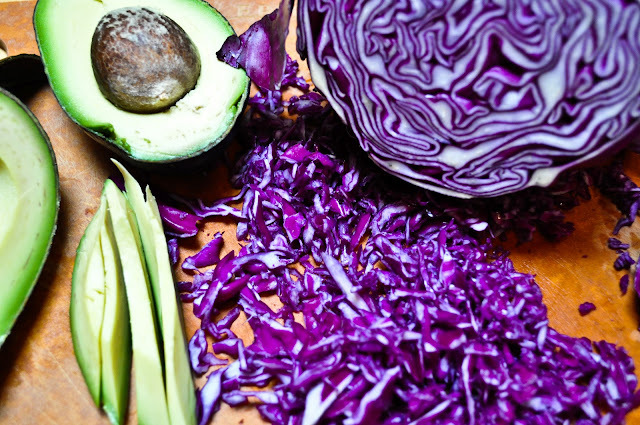 Let’s prep our ingredients, shall we? Cut up your onion, combine all your spices and salt into a small bowl (as you will be adding them at the same time), mince up your garlic, wash and prep your chicken (cut off any fatty parts) and open up your canned goods and the beer. In a 4-quart saucepan, heat oil over medium-high heat. 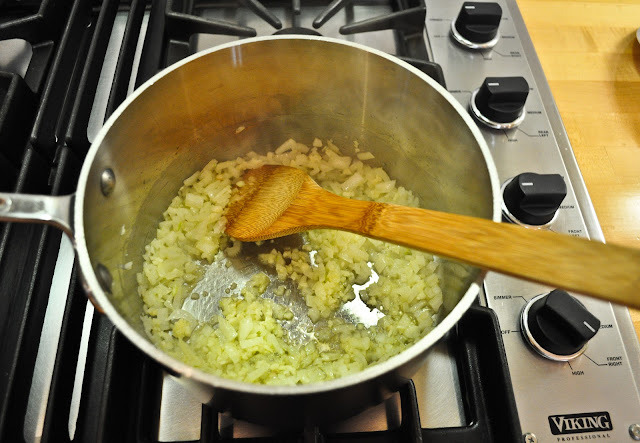 Add onion and garlic; cook and stir for 3 minutes. 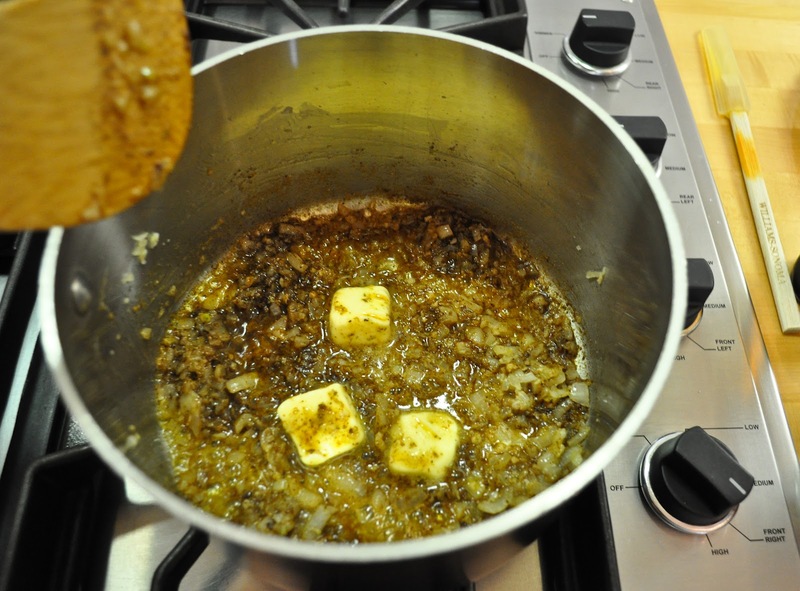 Add butter, and your spices of cumin, coriander, chili powder, oregano & salt. Cook and stir until butter melts. Add beer, fire roasted tomatoes, green chilies and jalapeños. Bring to a boil. Add chicken. Return to a boil and then reduce heat. Simmer, covered, for about 15 minutes or until chicken is tender and no longer pink, stirring a few times. Using a slotted spoon, transfer chicken from the cooking liquid to a cutting board. Gently boil the cooking liquid, uncovered, for about 10 minutes more or until thickened, stirring occasionally. Meanwhile, using two forks, shred up your chicken. 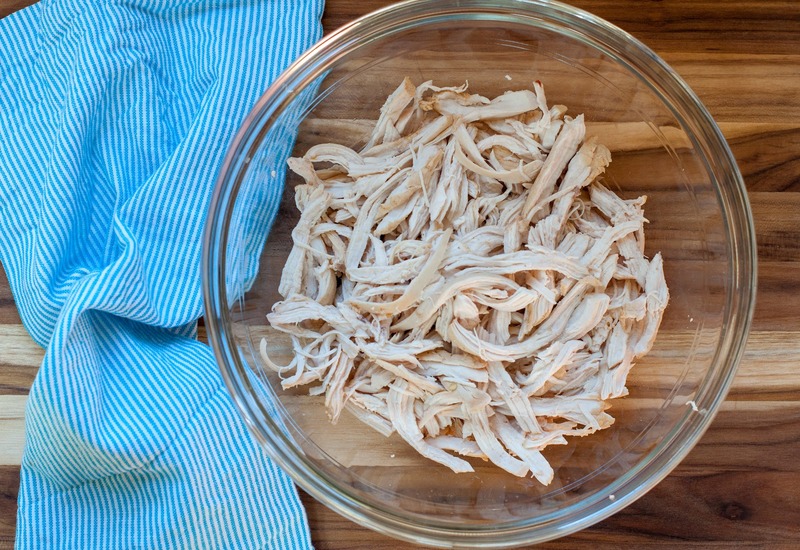 Put shredded chicken into a medium sized bowl. 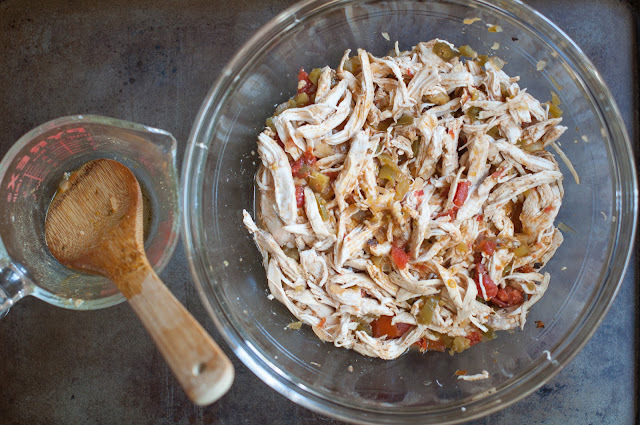 Add 1 cup of the reduced cooking juices to the shredded chicken and stir to combine. You can use this mixture as a filling for either quesadillas or hard or soft-shelled tacos. We chose small soft shelled corn tortillas. To warm them up, we wrapped the tortillas in tin foil and cooked them at 350 degrees for 15 minutes. Insert your favorite taco fixings. I just made this and my wife and I agree that they may be the best chicken tacos we’ve ever had. I had a couple of substitutions, mainly Rotel in place of the fire-roasted tomatoes. Great stuff! I’ll be trying some more of your recipes soon. What a great idea! 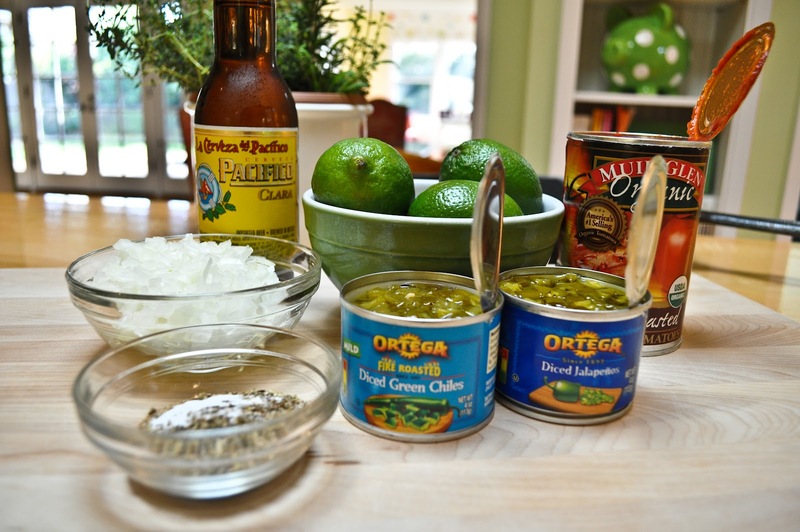 I love cooking with beer and I always use it in my chili recipes, but never have tried it with tacos. I am definitely going to make this soon! Beer and chili, sounds delish! 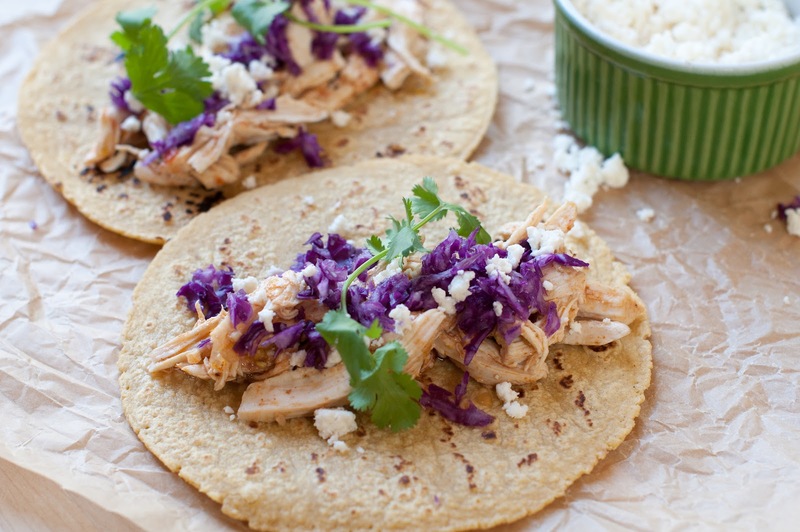 They look and sound tasty – I am always in the mood for a taco! I’ve been seeing many bloggers using beer to cook their food and cakes lately. Your beer-braised chicken verde looks awesome! I think that I can eat 2-3! Hi Zoe! Yes, beer was a new thing here. I have never cooked with it till this recipe. I have cooked now with beer, vodka and wine, what’s next? 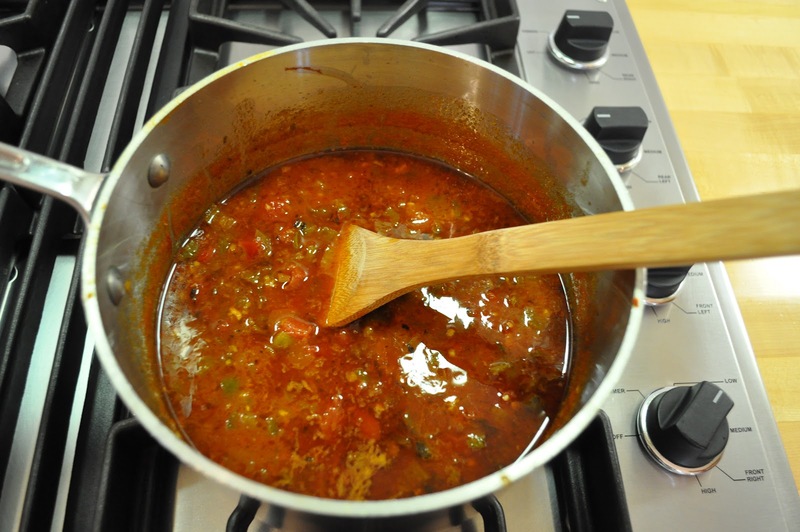 this sounds wonderful – lovely spices and flavoring – YUM! Oh how I love recipes like this one! I’m definitely trying this one, soon! BOOKMARKED!! I also dont really like beer generally, but found it really good with the pulled chicken. Much better as a flavouring than a beverage IMO. Im still determined to make your sausage and fennel pasta too, but we have been way too busy to get to the Farmers Market – AGH. Lookin forward to meeting you (maybe even over some Mexican!!) soon!! ps – those pictures are great – loooove the colours! Hi Em! I can’t wait to meet you as well. We can meet for some Mexican or a healthy organic lunch at Rustic Cafe, you name it girl! I just can’t wait to get together and talk blogs etc!